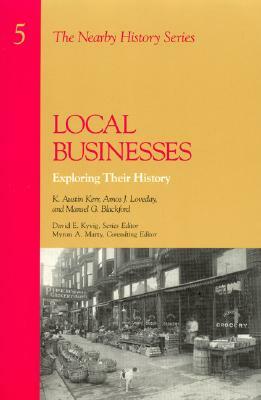 History of Ohio Law is a complete sourcebook on the origin and development of Ohio law and its relationship to society. A model for work in this field, it is the starting point for any investigation of the subject. In the two-volume The History of Ohio Law, distinguished legal historians, practicing Ohio attorneys, and judges present the history of Ohio law and the interaction between law and society in the state. 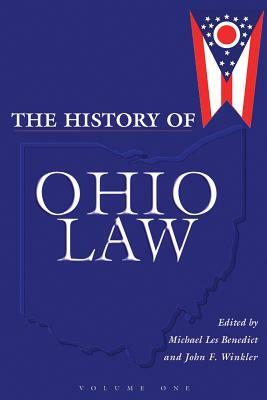 The first history of Ohio law in nearly seventy years- and the most comprehensive compilation of essays on any state's law- its twenty-two topics range from the history of Ohio's constitutional conventions and legal institutions to the history of civil procedure, evidence, land use, civil liberties, and utility regulation. The essays describe Ohio's legal institutions, legal procedures, and the substance of Ohio law as it has changed over time. Other essays describe how social, cultural, political, and economic institutions have affected Ohio law and how the law has affected them. The essays provide important information to practitioners and offer attorneys, legal scholars, historians, and the public a broad understanding of the relationship between law and society in Ohio. Going beyond the technical law, The History of Ohio Law deals with the intersections between law and race, gender, and labor. Insightful essays also discuss the development of Ohio's legal literature, the impact of federal courts, and Ohio's most important contributions to American constitutional development. Written by twenty-two leading lawyers and historians, The History of Ohio Law will be the indispensable reference and invaluable first source for learning about law and society in Ohio. Michael Les Benedict is a professor of history at the Ohio State University. He is a noted scholar of American legal and constitutional history and the author of The Blessings of Liberty, a leading constitutional history textbook. John F. Winkler is a Columbus lawyer with a civil litigation practice. A graduate of Yale College, he has graduate degrees from McGill and Harvard and a law degree from Ohio State.